For Frank Trigg, cutting of his welterweight stint was harsh. He even thought of retirement. But luckily, it's not yet over for Trigg. 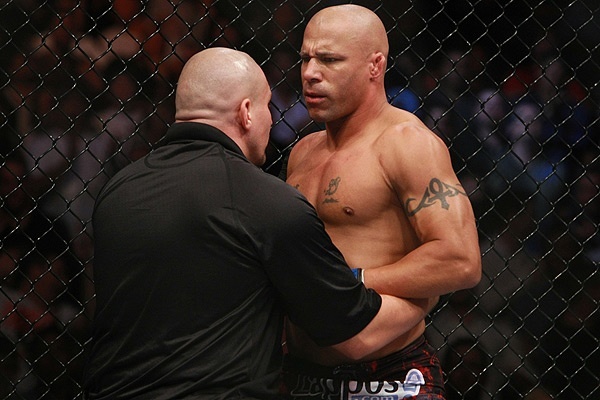 For Frank Trigg, fighting career is far from over. Trigg (19-8), who once hinted of a retirement after the February release on the UFC cage is now booked for a November 9 fight in Israel. He is scheduled to fight Brazilian jiu-jitsu black belter Roy Neeman (1-0) at the International Fighting Championship event in Tel Aviv. With a catchweight of 180.4 pounds (82 kg). Trigg returned to the UFC after four years and suffered a TKO loss to Josh Koscheck last September 2009 and a first round stoppage defeat to Matt Sera, UFC elected to cut off Trigg from his welterweight roster earlier this year. Following that UFC stint which ran from 2003-2005, it includes a pair of losses to Matt Hughes, Trigg also fought for Strikeforce, World Victory Road, HDNet Fights and ICON Sport, where he defeated Jason “Mayhem” Miller for the organization’s middleweight title. His opponent, Neeman is one of Israel’s most accomplished jiu-jitsu fighter and he also won various grappling titles.